Aging at the cellular level is called “cell senescence”, and it contributes profoundly to whole-body aging. The most promising near-term prospects for a leap in human life expectancy come from drugs that eliminate senescent cells. Programs in universities and pharmaceutical labs around the world are racing to develop “senolytic” drugs, defined as agents that can kill senescent cells with minimal harm to normal cells. Apoptosis is cell suicide, and (from the perspective of the full organism) it’s the best thing that can happen to senescent cells. The authors of this newest Dutch study ask how it is that senescent cells escape apoptosis. FOXO is a protein that controls gene expression, a master transcription factor associated with aging and development. (It is the homolog in mammals of the pivotal life extension protein first identified in worms as DAF16 in the 1990s.) FOXO4 activiation in a cell can block apoptosis. P53 is the most common trigger of apoptosis, the first protein biochemists usually think of in connection with apoptosis. P53 has multiple functions in the cell nucleus, but as a trigger for apoptosis, it works through the mitochondria. FOXO4 binds to p53 and blocks its induction of apoptosis. The treatment studied in this paper is an artificially modified FOXO4, a dummy that binds to p53 in place of regular FOXO4, but doesn’t block senescence. It has been named FOXO4-DRI, and it works by crowding out the native FOXO4. The authors note, with caution, that mice with no FOXO4 at all appear normal; but apoptosis is an important cell function throughout the lifespan. A cell must have “good judgment” about when to eliminate itself, and that works in both directions; in older animals and people, we not only see failure of apoptosis to eliminate senescent cells, but we also see healthy muscle and nerve cells undergoing apoptosis prematurely, and we lose muscle and brain mass as a result. Other functions of FOXO4 include DNA repair, and mice that lack FOXO4 are subject to a high burden of DNA damage. By analogy with chemotherapy for cancer, the value of a senolytic treatment is measured by its ability to kill senescent cells without doing harm to normal cells. The index called SI50 (SI for “selectivity index – 50%”) is defined by analogy to LD50 = the “lethal dose” of a toxin, the dose at which half of all cells die. SI50 is defined as the ratio of LD50’s for normal and senescent cells. It is the concentration of the agent at which half the normal cells die, divided by the concentration at which half the senescent cells die. Authors of the current paper report SI50 about 12. My guess is that 12 is an encouraging beginning, but it is not high enough to support a useful therapy. After a standard dose is injected in humans, the cellular concentrations vary from person to person and from tissue to tissue. In other words, the vertical distance between the black and red curves is encouraging, but the horizontal distance is cause for concern. Senolytic agent studied previously, including dasatinib, quercetin and ATTAC, did not include measurements of SI50 that we might use for comparison. How does FOXO4-DRI perform in live mice? Authors of this study were excited in a rush to publish. They used a fast-aging strain of mice, and even for these, they did not wait to see survival curves. The indicatators of rejuvenation that they do report look positive: increased activity levels, regrowth of lost fur, and improvement of kidney function lost with age. Two classes of anti-senescence compounds have been reported so far: Quercetin/Dasatinib, either alone or in combination [ref], and the pan-BCL inhibitors ABT-263/737 [ref, ref]. Quercetin and Dasatinib have been reported to be non-specific. We found no selectivity toward senescent IMR90 and therefore this cocktail was not explored further. ABT-263 and ABT-737 target the BCL-2/W/ XL family of anti-apoptotic guardians. Indeed, ABT-737 showed selectivity for senescent IMR90. However, already at low doses, it appeared to influence control cells as well. Also in a treatment regimen where both compounds were added in consecutive rounds of lower concentrations, FOXO4-DRI proved to be selective against senescence yet safe to normal cells. I reviewed the Quercetin/Dasanatib paper two years ago. It was an early proof-of-principle, using medications that are already known (and FDA approved). But the 1-2 punch is not sufficiently selective–it is toxic to normal cells. I missed the two papers about ABT-263 [ref] and ABT-737 [ref]. BCL-2 is the founding member of another family of proteins that signal a cell to resist apoptosis. Both ABT-263 and ABT-737 were identifed in screens for agents that block BCL-2. These two studies published in Nature last year, one from University of Arkansas, the other from the Weizmann Institute, both use radiation exposure to create a large population of senescent cells, and then show that the senescent cells are selectively eliminted by ABT. The ABT-263 paper included some in vivo results, indicating enhanced growth of blood stem cells after senescent cells have been removed. In vivo testing of ABT-737 was limited. Neither group reports the selectivity index (SI50) as calculated by Keizer in the latest study; but from graphs that they do present, it is clear that ABT-263 is more selective than ABT-737, and that neither is as selective as FOXO-DRI. DIS and OIS are the senescent cells; G and V are the control (normal) cells. ABT 737 (the middle bar in each of the 4 sets) kills more than half the senescent cells, but at the cost of taking out ~20% of the healthy cells. ABT-263 appears to be more selective than ABT-737. Normal cells (left) are not noticeably affected at a concentration where ~70% of the senescent cells are eliminated (right). The original marker used to identify and target senescent cells by the Mayo Clinic’s 2011 study was p16Ink4a. The selective elimination technique they used (in 2011) was limited to genetically modified mice, but a year ago, a new paper from Mayo Clinic demonstrated a similar procedure for ordinary, non-GMO mice. Twice weekly injections of an antibody that induced apoptosis in cells that expressed p16Ink4a extended lifespan of the mice by 25% – 30% compared to controls, comparable to the results in the 2011 paper. Caveat: the control mice received sham injections that shortened their lifespans. Parabiosis experiments and their follow-ons have convinced us that circulating chemical signals form the basis of an epigenetic clock. Some of these circulating molecules are known to come from senescent cells. Aging commonly accelerates exponentially with age, as though it were driven by a positive feedback loop. Senescent cells secrete cytokines that make more senescent cells–there’s your feedback. Short telomeres initiate senescent cells. At any given time, there is a bell-shaped curve of telomere length among the body’s cells. The tail of the telomere distribution contains a few cells that are driven to senescenceby having very short telomeres. How will such promising mouse results translate into human health and life extension? We have as yet no data, not even anecdotes. But perhaps we are near the point where hope and courage will motivate the first self-experimenting volunteers. Caloric restriction and its mimetics produce much greater percent increases in lifespan in mice (2 year lifespan) compared to dogs (10 yrs) or monkeys or humans. Senolytics work via a completely independent pathway; we can hope that percent benefits in humans will be closer to the mice. Since this is about upregulating elimination of cells via apoptosis, the strongest benefits are likely to be against cancer, and mice are more vulnerable to cancer than humans. This is a fast-moving field in which researchers are in a rush to publish and (presumably) pharmaceutical companies are taking pains to keep their results hushed up. Sharing of information and resources could push this research over the top and give us the first full decade of human life extension. Too much of anything is not good. Nature has created checks and balances for every vital function. So for a P53 there is FOXO4 keeping it in check. There are activators and also corresponding inhibitors. At our peak they balance almost perfectly but as we age for unknown reasons this balance is lost leading to for example inhibition gaining over activation creating as Josh referred above a feedback loop incrementally accelerating the imbalance and the resulting damage. Any intervention must aim at regaining the balance and not just removal of senescent cells. As I understand it (from a layman perspective) the modified FOXO-DRI will only be present temporarily and quickly replaced by the body’s normal FOXO4. Josh – please correct me if I’m mistaken and/or provide more details. Yes, in theory, that’s just right. But nobody knows for sure because the experiment hasn’t been done yet. FOXO4 double KO mice are not only viable but do not show any apparent difference in phenotype to controls. Of course I guess not much research has beeyen done on those mice. Hopefully now labs start to breed them – should be an inexpensive research, and we can see survival curves, cancer incidence, etc in 2-3 years time. Actually I hypothesize there must be some selective advantage in keeping senescent cells alive, e.g. faster wound healing or other stress conditions that were not present in the lab. Yes its an example of reverse pleiotropy – useful in development (needed by embryos) and in youth (faster healing) but harmful in old age – hence not eliminated by evolution. You had posted or referenced some concerns regarding quercetin. What were the issues wrt quercetin? any link or source is much appreciated. Importantly, none of these senoyltics seem like the kind of thing you’d ever want to take daily. Yearly would be a far more appropriate dose, or perhaps even less frequently. We’d really want mouse studies on that sort of regimen. The Q+D studies are the best that we have in that regard. Thanks – I had taken some quercetin in the past but the more information I glean from everyone here has had me continually simplifying down & reducing supplementation for improvements on nutrition, exercise (lots of HIIT), sleep, 16-8 intermittent fasting, etc.. I supplement with NAC (just 600mg per day) with vitamin C, adding in (daily) to increase glutathione, some glycine (6-8g/d) (for potential methionine clearance), wheat germ (for spermidine), and I take the BroccoMax cap once a day for some sulforaphane (approx 30mg of sulforaphane SGS). I am a fan of this approach natural supplements that boosts the body’s own mechanisms that are lagging due to age. pqq reduces oxidative stress by 40%. Are there studies that indicate one large dose of EMIQ from time to time provide a benefit? Thank you. Very few studies look at one time or infrequent doses. The closest to what you’re talking about is a one time dose of querceting + dasatinib to measure it’s effect on senescent cells which were induced via a dose of radiation. i.e. the famous D+Q paper. Most of us would be interested in the effects of quercetin in isolation from the anti-cancer drug dasatinib, but this is what we have at the moment. They did measure real improvements after a single dose, which is very encouraging. Please understand we’re speculating out on the edge. There are no studies at all in humans, and in rodents the data is sparse and there’s nothing on high, intermittent doses. Why would a sham injection shorten lifespan? The stress of being grabbed and injected twice a week for their remaining lifespan. I am hopeful that SC clearance will translate very well to humans – after all SCs have now been implicated in many of the diseases of aging, including those mice do not suffer from, but we do. It does look like there is not a great deal of margin for error with the FOXO4 dosage, but it’s not so fine a half competent clinic could not manage it safely, and even without further improvement in the SI50 levels I am sure there will be those who are willing to take their chances, going abroad if necessary to get this treatment. Let us hope they share their results for those of us who are more cautious. Anyone care to hazard a guess on how soon we’ll see clinics offering this treatment to medical tourists? I certainly don’t see this in the US in the next 10 years. I’d love to be wrong about that but …. Peptides are easy to produce I am sure we will see it on sale in the next 6 months and probably some cowboys offering treatment offshore shortly. I’m very interested in this but not cowboy enough to have a go in the next 6 months. Maybe in 5 years though. It’s a given that fasting is one of the best ways to clear Senescent Cells. Very problematic for Big Pharma as a true “Fast” involves simply not eating, water only, for somewhere between 24 hours up to say 5 days or so. Maybe the ideal Fast is around 72 hours. Most people are scared to death, (No pun!) to learn how to do it, but it’s actually easy and does impart feelings of well being. But there’s no money in promoting that people simply not eat, and just drink water for 3 days, so we now have Fast Mimic Diets…And every way possible to recreate the effect of a true “Senolytic Fast”. You don’t have to wait years or take pills that may or may not work. Let’s just keep this a secret…You won’t hear about it from Unity or Calico! Is there a study out there that quantifies how effective fasting is at inducing apoptosis in senescent cells? Something along the lines of “N subjects fasted for X number of days and before and after testing revealed a Y percentage decrease of senescent cells in these tissue types”? I’d have to hunt that down… I’ve read numerous “opinions” from what I consider to be reasonable sources that seem to validate it as accepted. So sure, without that, by all means don’t do it, or promote that people may be at least as well off trying it. I just happen to believe it’s a healthy thing to do…And if it clears Senescent Cells, added bonus. Better than taking or waiting for expensive drugs that may work but that in the long run may have negatives. Go with what you believe. Don’t get me wrong, I have nothing against fasting by any means and plan to try it myself in the near future. But, I’d still like to quantify how good fasting is at killing off senescent cells. If for no other reason than if it were *really* good at inducing apoptosis in SCs then I’m start to wonder about the entire premise of eliminating SCs being a dramatic boost to healthspan and/or lifespan since after all, people have been practicing periodic fasting for millennia now. I certainly have no real doubts that periodic fasting does offer numerous health benefits though. The bottom line is that the only way we can make real progress in these areas are with real numbers on these things. Valter Longo is very interesting and has a LOT of information out there for you. Here is a snippet. Among the major effects of fasting relevant to aging and diseases are changes in the levels of IGF-1, IGFBP1, glucose, and insulin. Fasting for 3 or more days causes a 30% or more decrease in circulating insulin and glucose, as well as rapid decline in the levels of insulin-like growth factor 1 (IGF-1), the major growth factor in mammals, which together with insulin is associated with accelerated aging and cancer (Fontana et al., 2010). In humans, five days of fasting causes an over 60% decrease in IGF-1and a 5-fold or higher increase in one of the principal IGF-1-inhibiting proteins: IGFBP1 (Thissen et al., 1994a). 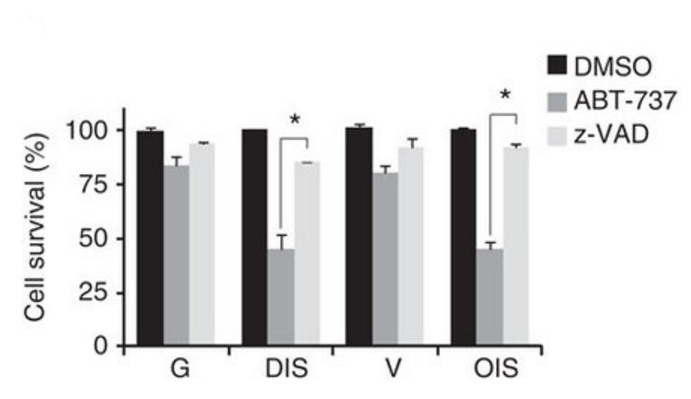 This effect of fasting on IGF-1is mostly due to protein restriction, and particularly to the restriction of essential amino acids, but is also supported by calorie restriction since the decrease in insulin levels during fasting promotes reduction in IGF-1(Thissen et al., 1994a). Notably, in humans, chronic calorie restriction does not lead to a decrease in IGF-1unless combined with protein restriction (Fontana et al., 2008). I invite you to spend some time in a biochemistry lab. Learn just how impossible it is to observe biochemistry directly, and learn about the arsenal of clever techniques for supporting indirect inferences. How do you propose to count senescent cells in a living person? You can do this in a tissue culture. You can do it in a mouse, if you’re willing to kill the mouse. Even so, it’s enormously labor-intensive, and the experiment must be repeated many times to average over individual differences and quantify experimental error. In this field, we’re making guesses based on very limited knowledge, and this is the way it’s going to be for a long time to come. Indeed this is not my field, I’m an engineer. If I wanted to measure senescent cells in a human being, I’d probably do fine needle aspirations of appropriate tissue types, perhaps look at epithelial cells in cheek swabs (thought I’ll bet that’s not the best place to look), or perhaps look at various blood cells. Those are means of getting some cell samples without getting *too* invasive. I’d suspect that an FNA would be your best bet. But it was just a simple question asking if such data exits. I’m here to learn. I do appreciate how difficult this work is. And, no one is going to spend gobs of money investigating fasting since there is no patent and block buster drug at the end of that rainbow. there are markers for senescent cells such as beta galactosidase and p16 expression. It’s a fair question Michael – as you say people have been practicing fasting for a long time, and yet their lifespan extension was modest, even if the healthspan benefits are more impressive. So I’d say either fasting is not that effective at getting rid of senescent cells, or we will mostly get healthspan and not a substantial lifespan benefit out of senescent cell clearance. That would be disappointing, but not entirely surprising given that other processes are going on too that are equally capable of killing us. The thing with ancient populations and life extension is that there was no way to avoid any long term nutritional deficiencies from their local environment. Any frequent calorie restriction or fast, and it could exacerbate this. Not to mention, the optimal fast duration is not known. And ancient populations didn’t have education on dangers of too long a fast, or dangers like the need for water. Also aside from the few elite wealthy, many individuals may have needed strenuous physical activity to support themselves daily. Strenuous constant activity, especially in individuals that have small amounts of fat, as most of the population did, combined with long fasts may be quite dangerous. Cellular senescence is not the same as “cell ageing”. Whilst senescent cells can promote ageing and age-related disease, they are not “aged/old”. This change in cell state can occur spontaneously in response to DNA damage. Also, senescent cells play a role in wound healing and possibly embryonic development. These cells do not suddenly become “old”. Yes – in the experiments featured here, most exposed the mice to radiation to create senescent cells rather than letting time do the work, because it’s cheaper not to house the mice for extra years. Everyone is assuming that clearing cells damaged by radiation is the same as clearing cells damaged over time, but it will take time to be sure this is true. It is ironic but hormesis produced by exposure to low levels of ionizing radiation (at 50 mGy/y) remarkably increase lifespan of dogs. So, It is problematic to use radiation to create senescent cells rather than letting time do the work. That will be important when they get to doing lifespan studies with these senolytic agents. For now, the field is moving so fast that they’re publishing results based on short-term effects. There are multiple triggers to senescence. Replicative senescence happens after a lot of cell doublings in the dish even before reaching the hayflick limit. This is accompanied by an increase in p16 expression. P16 expression in the article was used as a marker for senescence. Very interesting. Does anyone know the difference between their CDX-085 and plain old “Astaxanthin”? Is CDX-085 a drug company’s name for a spin-off of plain old astaxanthin, which they hope to patent? Hope your company has access to abundant funding. Guess you have plenty of ideas to try. What do you think are the chances of FOXO4-DRI to work in human in vivo? As mentioned, there are many cowboys out there willing to give it a try. Anything to comment on the odds and/or risks of someone just buying and trying it just scaling the dose from mice? I also believe the peptide is patent-protected. Leaving those details aside, what would be the odds/risks for a peptide like this one? They designed it based on sequences conserved in humans so a priori it should work but I would like to hear a comment from someone knowing better. injection with three times 5 mg/kg (every other day) FOXO4-DRI, stated in the graphs. 5mg/kg for a mouse translates to about 0.4mg/kg for a human, or about 28mg for a 70kg human. But it seems to work if given in small doses, rather than one large one. Hard to be certain and hey, I’m no expert, but other clinical trials involving DRI peptides have not reported any serious adverse effects. In fact, Warso et al (2013) used a 28AA peptide at up to 4.16mg/kg and noted neither antibody response nor adverse effects. Well I have found a supply of the FOXO4DRI peptide. Not cheap (but then, I never expected it to be.) Using a default safety factor of 10 suggests a dose of 2mg, but I’ll probably start with 1mg. Any comments? There seems to be an enormous range of safe starting doses for peptides. For example, Thymosin Beta-4 peptide is routinely used by athletes and is injected in a dose of 2.5mg, twice weekly for 4 weeks. This recent paper from Satchidananda Panda reports some very interesting results using SR9009 (aka Stenabolic) and SR 9011: Pharmacological activation of REV-ERBs is lethal in cancer and oncogene-induced senescence. These PEPCK inhibitors kill not only cancer cells in a glucose-poor environment, but oncogene-induced senescent cells as well. Exciting stuff.